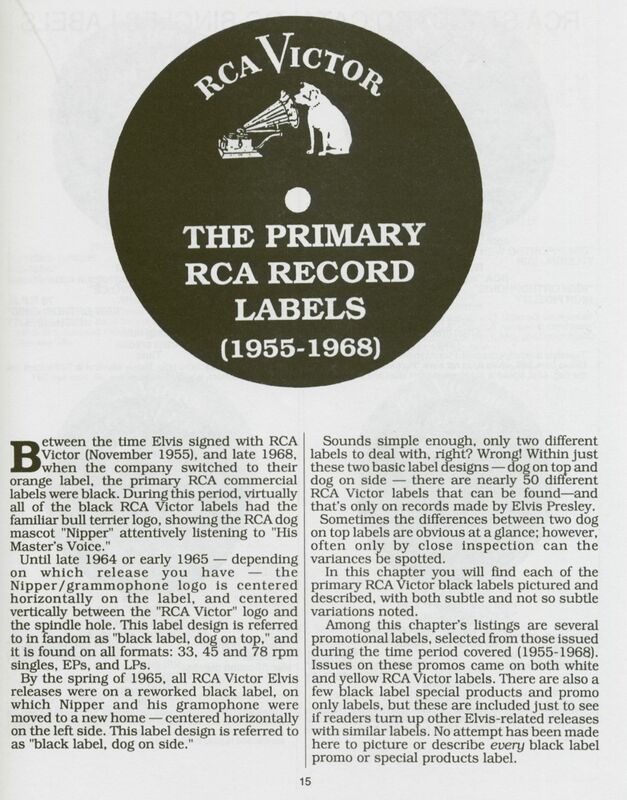 Information (with illustrations) on the primary RCA Record Labels 1955-1968, Inner Sleeves, Master Tape Lacquer Coding, Metallizing and Plating, US LPs, Singles and EPs. Bootlegs listed for identification purposes only. 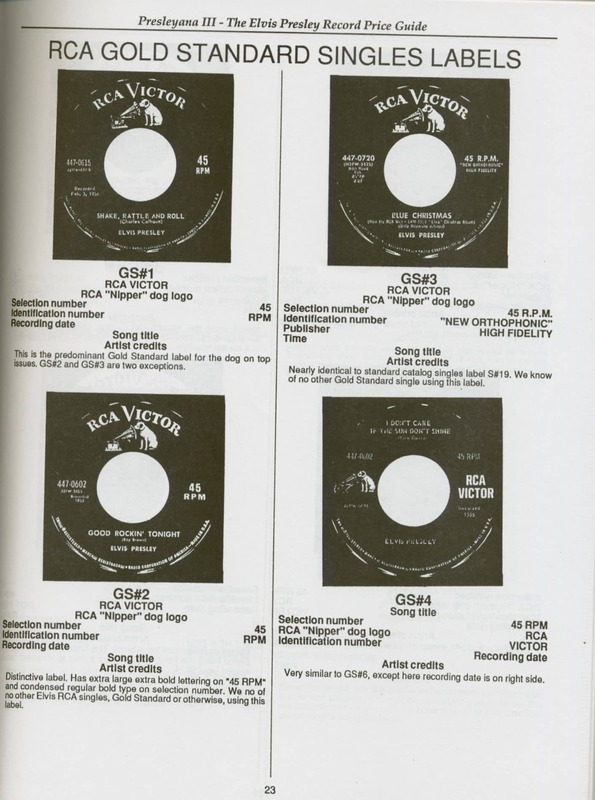 The most significant modification in this edition of Presleyana is the separation and identification of individual pressings of records in all three formats: singles, extended plays and long plays. 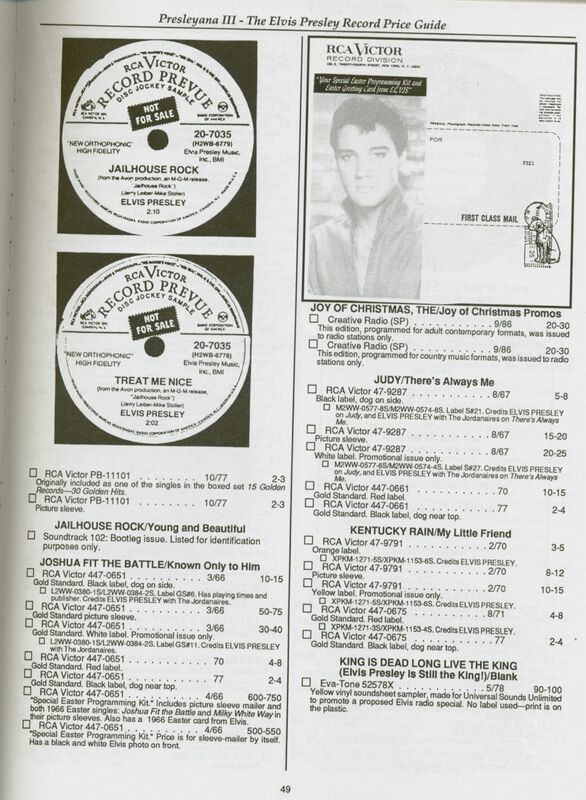 Previous Elvis record guides provided separate lis s for each major label design switch. such as from "Mono" to "Monaural" to "Orange;" however, until now there has been no separation of stampings, or pressings, within the period of a articular label design. There may have been 30 different pressings of an album during the years when only three different label design were used. Often there are variations with each of R 's primary label designs, but each variation is usually found to be exclusive within a specific press run. Now for the first time these changes will make sense to the collector. More importantly is the ability now to match an absolutely correct cover with each disc made. 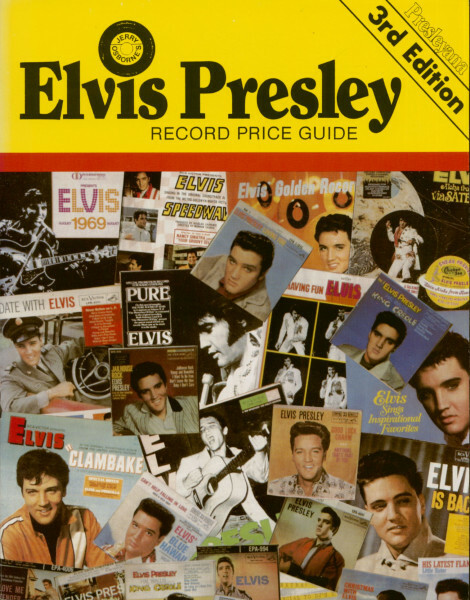 Previous guides often made no distinction between covers issued in 1964 with a black label disc and one reissued with an orange label pressing in 1971. Lacking this information. one could not easily distinguish whether a near-mint cover for a black label dog on top Blue Hawaii is really one from 1961, or one that came with a 1973 orange label reissue. Since this is the first published attempt to detect what differences. if any. exist on reissue covers that distinguishs them from earlier issues. there are still some that remain to be verified. Each of these is marked "Verification Pending." Any input as to what makes these covers different from previous ones will be appreciated and will be incorporated in future editions of Presleyana. 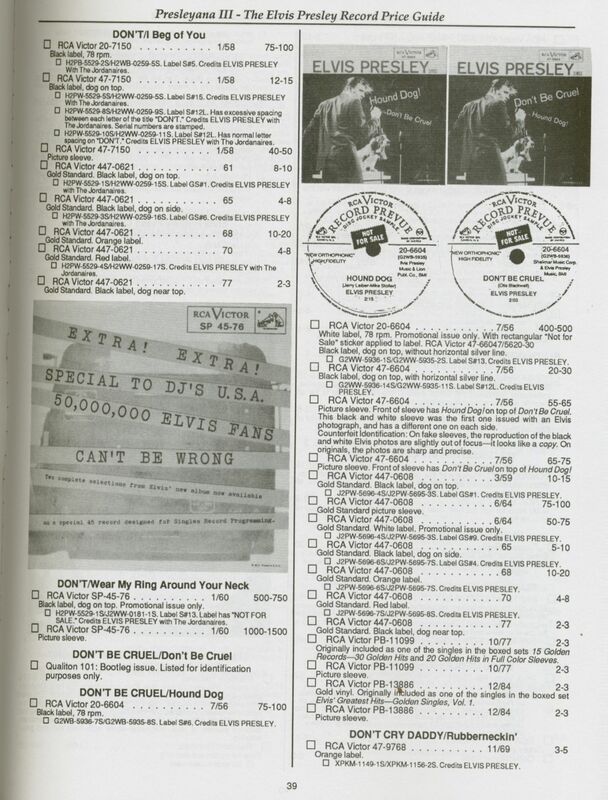 Customer evaluation for "Presleyana 3rd Edition - Jerry Osborne's Elvis Presley Record Price Guide"